Responses only by email please. Viewing possibility coming Friday March 22nd, between 12.00hrs and 13.00hrs. 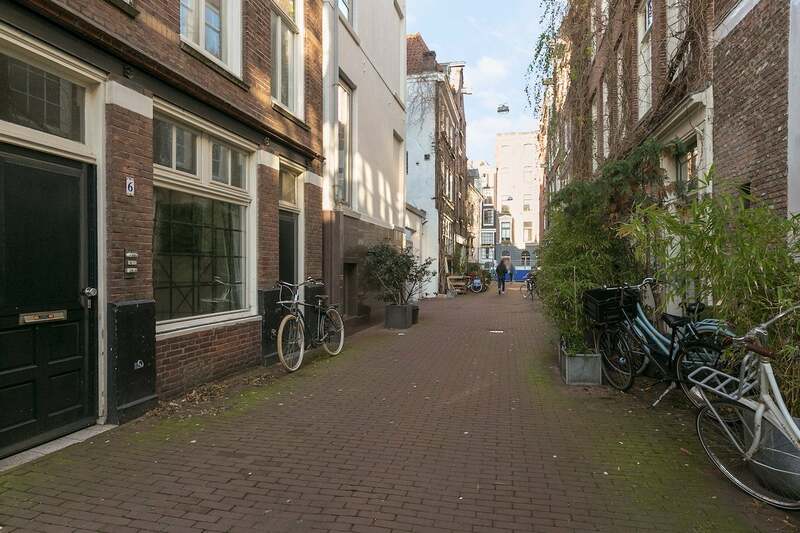 Nice, and spacious studio- apartment of 50m2, located in the middle of the Old Center of Amsterdam, just around the corner from Dam Square, Waterloopleinmarkt, and the Nieuwmarkt. The Bethaniënstraat is a small “car-free” street between the Kloveniersburgwal, and the Oudezijds Achterburgwal, parallel to the Oude Hoogstraat. You live in the middle of the City-Centre, but in the street, and in the studio-apartment itself, this is hardly noticeable. The fully furnished studio is located on the first floor, and is so spacious that sleeping and living/ eating area can be well separated. Entry studio on the first floor. Open plan kitchen with dining on the street side, living in the middle and bedroom on the backside of the studio. Two bathrooms, one with bad and shower, and one with shower and toilet. Really a very nice and spacious studio- apartment, located in the heart of the City! - Because of shared utility-meters with the other apartments in the building, the studio can only be rented included the monthly costs for electricity, gas and water. The total monthly costs (also incl. internet) will be € 1.525,-. - Preference for one male tenant, or a couple. - Contract length: max. 24 months.